The open evening on Thursday 26 April will showcase the facilities to former and future students. Mater Dei Institute has invited its alumni and potential new students to an open evening at its new home at the DCU All Hallows Campus, Dublin. The institute, which offers programmes in theology, philosophy and ethics, moved to All Hallows almost two years ago and was incorporated into Dublin City University (DCU) Institute of Education. The open evening on Thursday 26 April will showcase the facilities to former and future students. Mater Dei staff have remained and many of the courses, especially the Bachelor of Religious Education, are still the same. For example, students at Mater Dei do teaching practice each year as part of the course and are therefore not required to complete a postgraduate teaching course. Now the institute facilitates the academic study of religion and theology for students from faith communities and from an agnostic or non-denominational perspective. 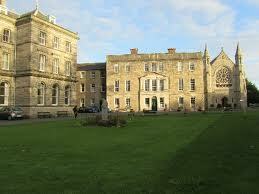 The former Mater Dei building is being converted into accommodation for the homeless. At the closing of Mater Dei in August 2016, it was stated that Mater Dei (for secondary education) and St Patrick’s College (for primary education) would become part of the new Faculty of Education in DCU, which includes institutes of Catholic and Church of Ireland education. Since the move, the demand for Mater Dei courses has been strong. The Open House Evening on Thursday 26 April at the DCU All Hallows Campus, Gracepark Road, Drumcondra will run from 6 to 9pm with a series of short taster lectures and updates from 7 to 8pm. 7pm ‘Theology after Mater Dei Institute? The Academic Study of Religion in a Secular University’, Dr Ethna Regan, Head of School. 7.10pm ‘Emerging Debates in Ethics’, Prof. Bert Gordijn. 7.20pm ‘Atheist Critiques of the New Atheists: A Theologian’s Interpretation’, Dr Peter Admirand. 7.30pm ‘Refusing the Apparent: A Really Short Introduction to Philosophy’, Dr Ian Leask. 7.40pm ‘The Book that Shaped Ireland: Introducing a New Project Exploring the Bible in Ireland’, Dr Brad Anderson & Dr Jonathan Kearney.